Remove from play 1 face-up monster. Both players Special Summon as many of their removed from play monsters as possible. Both players Special Summon as many of their banished monsters as possible. The old ‘remove from play’ phrase could get clunky sometimes. In normal English you would say ‘remove 1 monster from play’. But that becomes a problem when it was something like ‘remove 1 face-up Warrior-Type EARTH monster with 1500 or more ATK that attacked last turn from play’. By the time you get to the words ‘from play’ at the end, you’ve forgotten where you started. Because of this, a few years ago we shifted to ‘remove from play’ as a sort of super-keyword, that you would never break up. But it sometimes ran into other clunkiness problems. ‘Banish’ as a single word is simple, short, and clean. And will make a lot of card texts easier on the brain. Another problem with ‘remove from play’ is that people kept getting it mixed up with ‘remove from the field’, which is something totally different. So now these terms will be ‘banished’ and ‘leaves the field’, instead. ‘Banished’ (which used to be ‘removed from play’) means that the card goes off the board into that special place not depicted on the Game Mat. When this card is removed from the field, Special Summon 1 “Reborn Tengu” from your Deck. 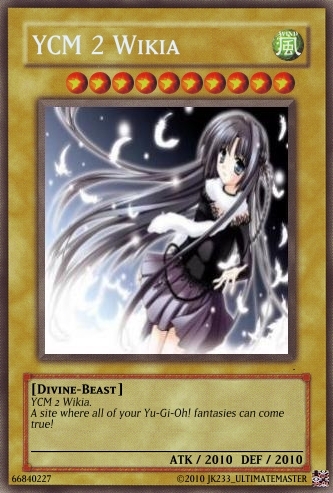 When this card leaves the field, Special Summon 1 “Reborn Tengu” from your Deck. As you can see, the word ‘remove’ was pulling triple duty, to mean 3 different things. This has now been fixed. If you do, remove this card from play when it is removed from the field. If you do, banish this card when it leaves the field. The new text is a lot less confusing. You’re probably familiar with this phrase. You won’t be seeing it any more. This effect has been around for years, but we’re simplifying the wording to just say the monster can do ‘piercing Battle Damage’. Note that the piercing effect only applies to Battle Damage. Which means that you still need to get to damage calculation so that Battle Damage actually happens. In other words, just because the wording is changing doesn’t mean this is some magical new thing that happens when the attack is declared. During battle between an attacking Dragon-Type monster you control and a Defense Position monster whose DEF is lower than the ATK of the attacking monster, inflict the difference as Battle Damage to your opponent. Dragon-Type monsters you control inflict piercing Battle Damage when they attack a Defense Position monster. Your opponent cannot select another face-up Warrior-Type monster as an attack target. Your opponent cannot target face-up Warrior-Type monsters for attacks, except this one. The new phrasing is more direct and to-the point. We have 3 kinds of ‘Hero’ monsters from Yu-Gi-Oh! GX right now: Elemental Heroes, Destiny Heroes, and Evil Heroes. Coming soon we’ll be adding Masked Heroes and Vision Heroes to that list. Right now, on cards like Elemental Hero Stratos, we write out ‘Elemental Hero, Destiny Hero, or Evil Hero card’ for effects that work on all 3 kinds. Instead of adding ‘or Masked Hero, or Vision Hero’ in the future, we’re going to pull a comic book-style retcon, and just change the names of all the GX Hero-class monsters from Hero to HERO (all-caps). Add 1 “HERO” monster from your Deck to your hand. Spell/Trap Cards are mostly unaffected, since they have lower-case names already and are not Hero-class monsters. There are 3 exceptions to this rule. For monsters, Hero Kid is going to stay Hero Kid since it’s not old enough to be a full-fledged HERO. On the other hand, Hero’s Bond will become HERO’S Bond. But HERO Flash!! will become Hero Flash! !.